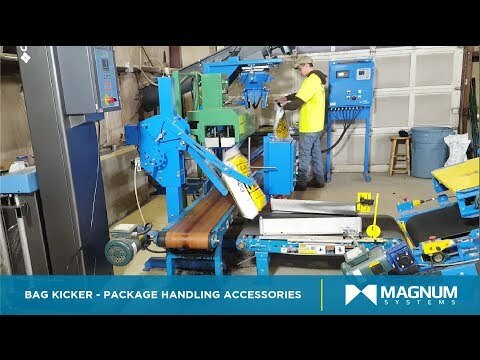 Magnum Systems bag kickers provide options to allow sealed open mouth bags to be oriented from their vertical, side profile, standing position to a horizontal, wide profile, laying down position for introduction into a bag flattener, check-weigher or metal detector. 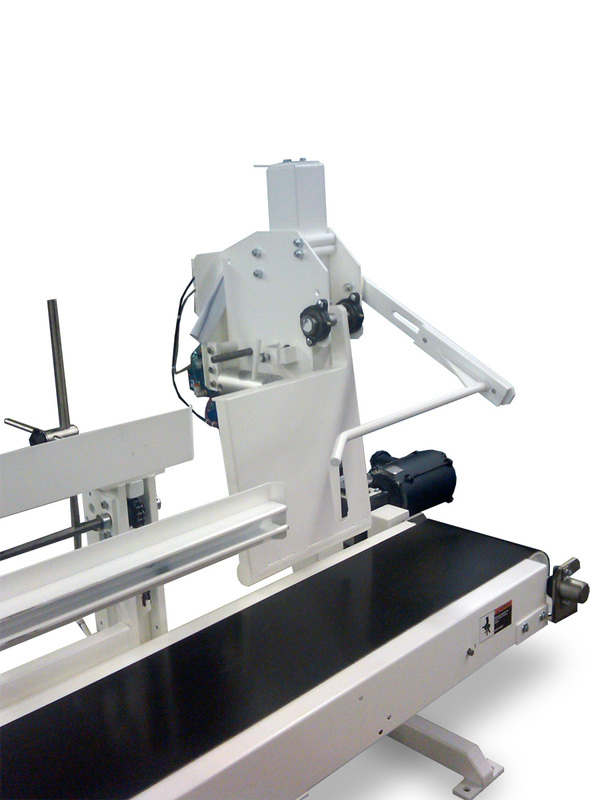 The bag kicker discharges the bag at a right angle from the conveyor so that it will travel bottom first into a flattener or down a conveyor line. 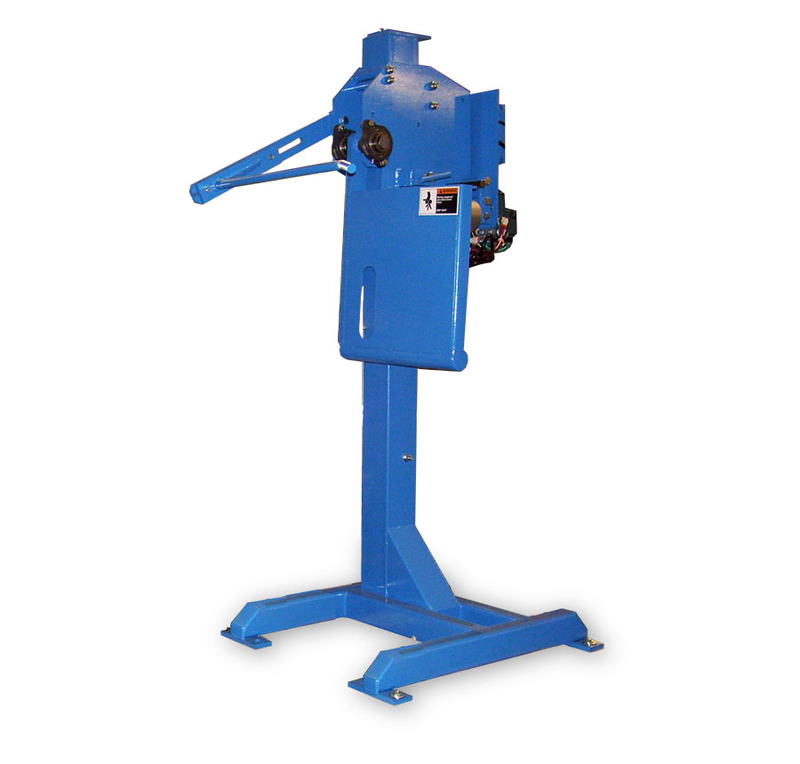 Used with flat belt conveyors only.